Julien Believe Visits Star 106! 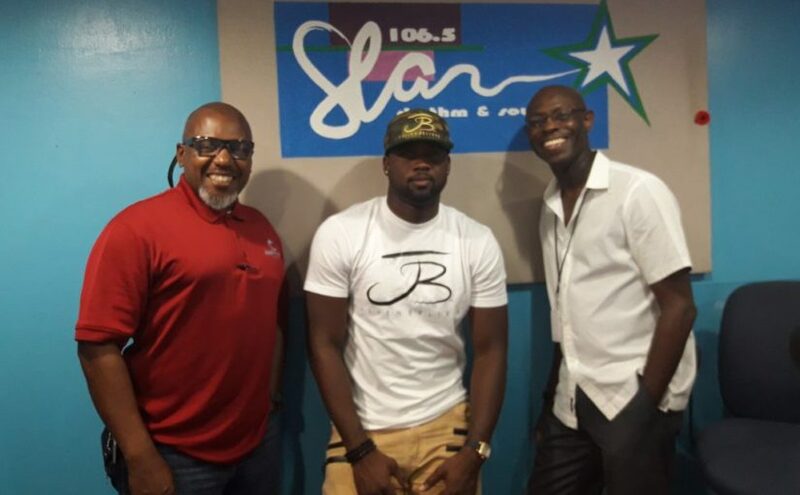 Julien Believe, singer, and entertainer, stopped into Star 106 to discuss his career endeavors. After being inspired by the Baha Men, he fell in love with creating commercial island music, an island sound that translates to all. He strives to make music for the world while incorporating Bahamian culture and flare. During the month of June, Julien traveled to Los Angeles, California. He performed at L.A. Carnival and the B.E.T. Awards pre-party show. He raved about how well received his music was and how excited he is to continue representing the Bahamas. Another aspiration of his is to make himself (and his team) available to young Bahamians who dream of being in the entertainment industry. One way Julien plans on achieving this is with his “I Believe in You” school tour, beginning in February 2018. Look out for two new singles from Julien Believe featuring fellow Bahamian artist, Patrice Murrell, in the next few weeks. Support our Bahamian artists and #FollowTheJourney @JulienBelieve.